Precast stair riser units and landings can be custom built to meet stair and landing requirements for almost any building which require stairs from one level to another. 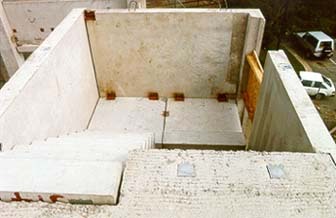 The stairwell can also be made up of precast panels and can be used as shearwalls for the building. 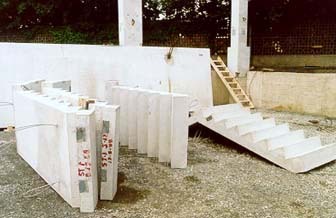 The precast stair units can work well with ICF and masonry walls. The use of the precast stairs and landings give an immediate way to move workmen from one level to another.